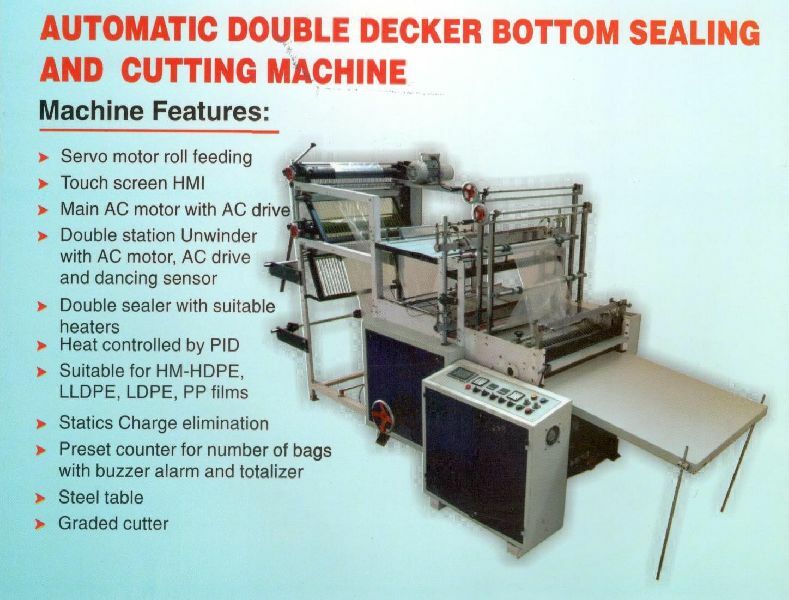 We are recognized as one of eminent Automatic Double Decker Sealing and Cutting Machine Manufacturers and Suppliers in the country. The Automatic Sealing and Cutting Machine are available with conveyor belt that assures smooth production. Made from high grade components, the durable Sealing and Cutting Machine offers high performance for longer period of time. Max. Length 40" 40" 40" 40"
Max. Width of Bag 22" 26" 30" 34"